Who Is Responsible For a Single-Car Crash? If you are the only one involved in an accident, then it may seem obvious that you are the one at fault. Well, this is a typical fallacy that many people believe when they are involved in a single car crash. Sure, there is no second car involved, but that doesn’t mean you should take the blame either. When you are involved in a single-car collision, it is worth talking to a car accident lawyer to evaluate the situation. You may find that you have a claim and deserve compensation, especially if you were injured in this accident. No two accidents are the same. The details are what makes it important. For some drivers, they only wrecked their car due to the careless maneuvers of another vehicle. According to Nolo.com, there are six types of common accidents. For instance, let’s assume you are driving down the freeway minding your own business. All of the sudden, the car in front of you has a tire blow out. The car starts driving erratically, and the driver cannot control their vehicle. In an attempt to avoid hitting the other driver, you hit the guard rail. The speed at which you were driving gave you injuries, and your car is totaled. You may be able to go back onto that driver because they caused your wreck. Had you hit them, it could have been a lot worse. Each year, thousands of people will be injured due to rear end accidents. One of the most common injuries that victims suffer from is whiplash, in addition to other injuries. If this happens to you, it is best to seek legal representation from an experienced Rhode island auto accident attorney that will put your needs first. The insurance adjusters are often minimizing the seriousness of soft tissue but the best Rhode Island personal injury lawyers are keenly aware of the real impact of whiplash on innocent victims. The most common form of automobile accidents is rear end accidents. Rear end collisions in RI could be accredited to a variety of factors, such as in-car cell phone use, and t the seriousness he various distracting features that are installed into new models of vehicles each year. 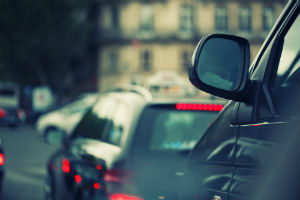 Even though a large percentage of automobile accidents that occur every year are due to rear end collisions, a majority of the injuries sustained are less severe, in comparison to other types of accidents, such as head-on collisions. However, rear end accidents in Rhode Island could potentially lead to serious injuries, or death, due to the impact of the collision. Whiplash is generally a neck and back injury that could be developed after a rear end accident. Whiplash is typically caused by the sudden movement of the body – in a forward motion. At this time, a person’s head will remain static for a moment of time, as the collision takes place. The acceleration is what causes the vehicle to push forward, and leads to whiplash. Surprise injury could lead to damaged ligaments in a person’s back and neck. Expected injuries cause the muscles to tense, which is why they are more likely to be damaged first during the impact of the collision. Many insurance companies try to take advantage of victims, and deny their benefits. A Providence auto accident attorney will help you fight for your rights! If you are suffering from serious injuries from a Rhode Island car accident that was not your fault, you will need to consider filing a claim against the responsible party and their insurance carrier. But exactly how do you determine the value of your claim that far exceeds your total medical costs and money needed to repair your damaged vehicle? Determining the value of special damages involved in a Rhode Island car accident is easy. You need to simply add up the bills from healthcare providers, lost wages and auto body shops. However, general intangible damages are a bit trickier to calculate. This might involve your pain, suffering, depression, mental anguish, and the limitations of your abilities to perform many of the normal activities you enjoyed before the accident. The court system places no quantifiable financial value on your pain and suffering. However, it is important to find an objective way to place a dollar amount on the discomfort and stress you feel as you heal. Because of that, many people choose to hire a personal injury attorney with years of experience in negotiating an adequate settlement for their clients to include tangible and intangible costs. Having a Rhode Island Personal injury Lawyer on your site is often beneficial when seeking a settlement that includes payment for your pain and suffering. Jury awards dealing with general damages that can be highly unpredictable. Hiring a skilled personal injury lawyer in RI that specializes in Rhode Island car accidents can help you gather evidence to make a convincing case to obtain additional funds for your pain and suffering. Most reputable Rhode Island personal injury law firms take cases on contingency. This means you will not be required to pay the attorney out of pocket. Legal Notice per Rules of Professional Responsibility: The Rhode Island Supreme Court licenses all lawyers and attorneys in the general practice of law, but does not license or certify any lawyer / attorney as an expert or specialist in any field of practice. While this firm maintains joint responsibility, most cases of this type such as rhode island car accident are referred to other attorneys for principle responsibility. 1. 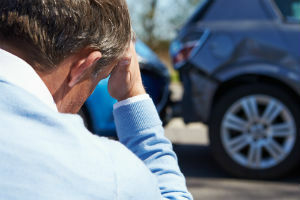 When you stop at the scene of the automobile crash, your first concern should be for the safety of yourself, your family and others involved in the motor vehicle wreck. If it is safe to do so, leave your vehicle at the spot of the collision so the police can adequately reconstruct the RI car accident. In many situations it will be necessary to pull over to the side of the road or highway to protect your safety and the safety of others. Use common sense. 2. If staying in your automobile will imperil your safety in any way, then immediately get out of the automobile and move to a safe location. Many serious injuries and deaths in Rhode Island are caused by the second collision after the initial mishap. If you are still in an unsafe location, you could be injured by someone rear ending your motor vehicle. In some motor vehicle crashes and RI Car accident, victims of the collision exit the motor vehicle but congregate too close to vehicular traffic. This can cause a very serious pedestrian accident or fatal vehicular tragedy. 3. The first thing you should do after an accident causing personal injury is make sure everyone is ok and determine whether an ambulance is required to bring anyone to the hospital for medical treatment. 4. Call the police. Pursuant to Rhode Island Law the police must be notified of nearly all motor vehicle accidents. 7. Contact a Rhode Island Personal Injury attorney or a Providence car accident lawyer concerning obtaining legal representation. In the event of a hit and run accident or a rear end accident with an uninsured motorist, make sure you retain a Providence Auto accident lawyer with expertise in uninsured motorist claims or underinsured motorist causes of action. Do not attempt to negotiate your claim without retaining a RI personal injury lawyer. 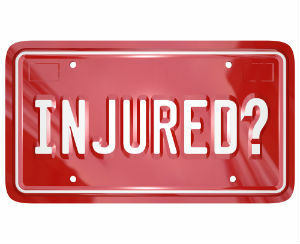 If you do not leave the scene of the mishap by ambulance then obtain treatment for your injuries as soon as possible. If you wait too long after the motorcycle, bicycle, truck or car crash then the insurance company will try to discredit your credibility claiming that you fabricated your injury. 8. Do not miss or cancel medical appointments. This will cause you to lose credibility with the insurance adjuster and may decrease the settlement value of your claim. 9. Do not post online concerning your case. RI Personal Injury defense lawyers and insurance adjusters are well known for scouring online posts to seek damaging information about negligence claimants. 10. Carefully, Document all medical treatment, hospital visits, urgent care visits, physical therapy, massage therapy and chiropractor visits as well as prescription medication and medical devices obtained. 11. Take pictures of any bruises, marks or physical conditions related to the accident when the condition looks the worst. 1. Notify the police of the motor vehicle accident. Pursuant to Rhode Island and Providence Plantation law, the police must be informed of almost all accidents. 2. If you were injured in an accident in RI, obtain medical treatment as soon as possible. If you did not leave the scene of the car accident by an ambulance than either go see your primary care doctor or visit an urgent care center. Your primary care Physician may refer you to a specialist. Some specialists will not see patients without a referral from a primary care physician. 3. Do not cancel your scheduled medical appointments! Make sure your medical providers are informed of all areas where you are in pain. Keep your doctor informed of all symptoms. Do not exaggerate but also don’t minimize the pain and suffering. An Insurance Adjuster will be reviewing your medical records seeking to find inconsistencies, or discredit your allegations. The Insurance Adjuster will attempt to minimize your pain and suffering. 4. As far as the insurance company is concerned, if you are not treating you are not suffering. Do not expect to receive damages for periods of time when you are not treating but you claim that you are still in pain. 5. Keep your RI Personal Injury Attorneys informed of all chiropractors, massage therapists, hospitals,physical therapist and urgent care centers that you have treated with. Keep track of dates of treatment and what occurred during the treatment. Keep records of all medication. Save receipts for all medication that you take as a result of the Car Accident. 6. 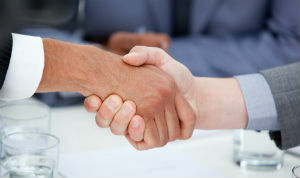 Retain a Rhode Island Personal Injury Lawyer before you give a statement to the insurance company. The Insurance Company is not the enemy but they certainly are not your friend. They are trying to give you the least amount of money as possible or even potentially deny you’re the claim. 7. Do not sign medical releases for the insurance company. The RI Personal Injury Lawyer will collect your medical records for you and submit them to the insurance company. You do not want to give the Insurance Company unfettered and uncontrolled access to your medical records! 8. Take pictures immediately after the accident of your vehicle, the other vehicles and the scene of the car / auto crash. Take pictures of any visible injury, scarring or bruising. With a bruise you want to get a picture when it looks the worst. Do not have your automobile repaired until you have taken pictures of the damages. 9. Do not sign medical releases for the insurance company. The Rhode Island personal Injury Lawyer will collect your medical records for you and submit them to the insurance company. You do not want to give the Insurance Company uncontrolled access to your medical records!. 10. 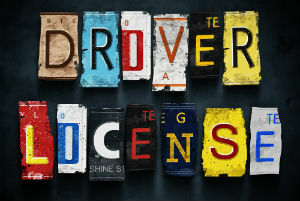 If you get cited for a motor vehicle violation, hire a RI lawyer to represent you. If you are found guilty or responsible for the Motor Vehicle accident then your case may be severely impaired. The implications of not contesting a citation or pleading guilty could be detrimental to your Personal Injury Claim. 11. Do not let the insurance adjuster influence you to settle the car accident prior to retaining a Rhode Island Personal injury Lawyer. The Insurance Adjuster wants you to take as little money as possible and they want to keep you away from a Rhode Island Automobile Accident Lawyer who can explain your legal rights to you. 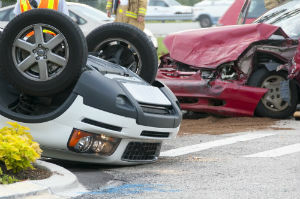 If you were injured in a Rhode Island car accident then contact a Rhode Island personal injury lawyer. An injured victim needs to contact one of the best Rhode Island personal injury lawyers.